Now Priced at $5.00 while they last!!!!! NYCSHS 2017 Calendar. These calendars contain 12 great photos in each yearly offering. 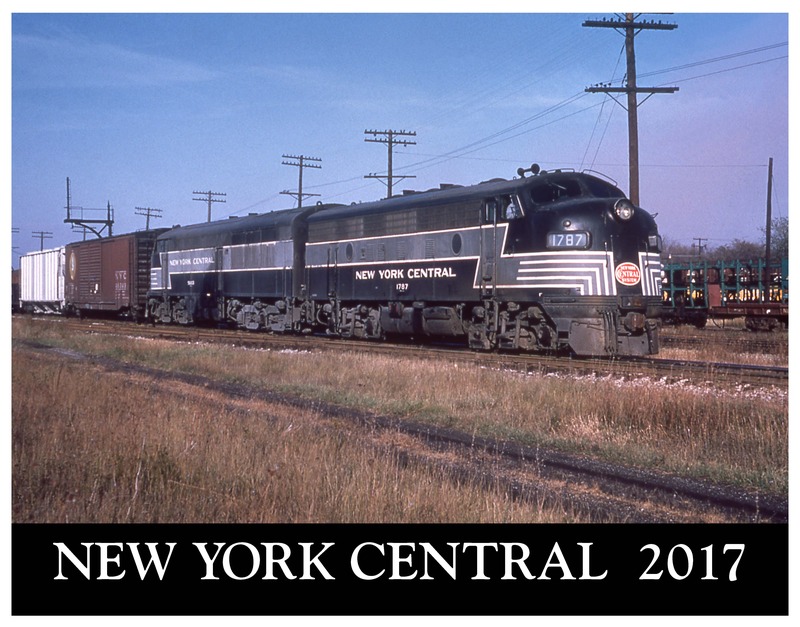 They represent a wonderful collection of photos from the glory days of the New York Central System. Each month has important historical events listed on the days that they occurred. Select the calendar you want in the box above. Price was $14.00. Ohio residents add Ohio state sales tax. Shipping included for US only. Non-US orders have shipping added.